Koreans like their feet, so they walk a lot of places. Koreans also really love food, so there are always places to go and food along the way. This sweet snack, 호떡, Hoddeok, is a wonderful way to quell your hunger for at least a few minutes until you can meet your mother for something more substantial. On the inside is a bit of awesomeness in the form of brown sugar, melted and runny, and crushed peanuts. If you are not careful you might get a bit burned because it's a bit like pizza--you don't even know you've burned your entire palate until your stomach is full and your mouth blistered. Do we care? Not a bit; as long as we feel good and full. 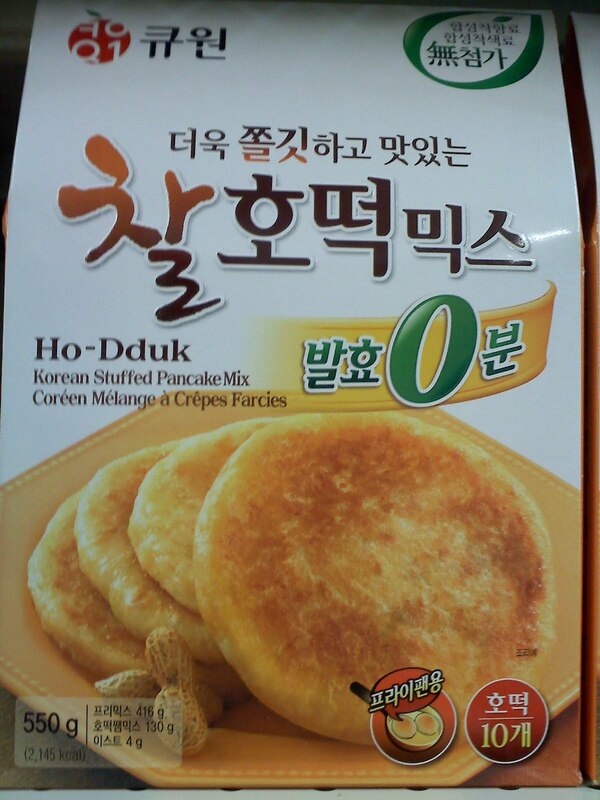 One thing to be careful for is saying the word "hot dog" because it sounds surprisingly like "Hoddeok". I used to work at a Hot Dog shop and I often told stories and was very often misunderstood and people thought I made these along busy intersections just like Koreans. Hail, Korea! Sweet mysteries of life revealed! Why not try a bite next time you're in Korea? I wish I had a picture of me eating one of these because only then could you truly grasp the tastiness. 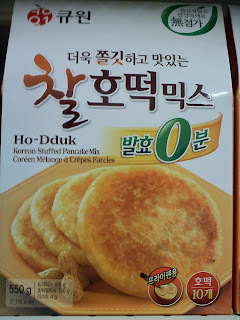 If you're ever in Korea these are a must. Promise me that you'll book a flight immediately so you can try these! Shutterbug! Maybe you'd have to go to a major city to get one... Maybe Washington, DC, LA, New York, or somewhere with a high Korean concentration? I wish I could just mail them to you! And regarding those yummy snacks, I'm sure I could find them in one of those Korean stores. Those looks really good and probably really good with syrup!! love your blog! keep up the quality posts! Thanks Kicking Rocks and Biboa! The only problem with these things is that if you don't buy all you want right away there is normally a line and you have to wait again. Best to buy a few. I appreciate your following me and hope that I can keep up high quality posts (no pressure or anything! YIKES!) haha.